Babz Buzz. Each month Literary Agent, Babz Bitela of Silver Bitela Agency talks soup to nuts about screenwriting. Babz wants a Vampire movie (after you listen to the podcast, send to babzbuzz(a)gmail.com with the subject Vampire Scripts. *In English, this podcast can be share with others as long as you mention the site and link back, but you can’t change it in any way or use it commercially. Over on the Unproduced Scripts page there are seventy four original works for your reading pleasure. George Willson is releasing his first novel, The Fempiror Chronicles: The Initiation of David a chapter at a time in PDF format. This novel is based upon his screenplay series, The Fempiror Chronicles. A young tailor evolves into a different person and finds himself in the midst of an ancient war. Fempiror (pronounced fem-PEER-or) are a race created for a war in a country long forgotten. Like a science experiment gone awry, they share an incurable condition that gives them superior speed, strength, and lifespan, but sacrifices a life in the sun and a sense of normalcy with the rest of humanity. In 1775, at the age of 17, David Taylor is thrust into this new world of the Fempiror when he disobeys a decree against being out at night to be with his beloved, Beth. Now, he is forced to follow a new set of laws – to protect humanity from the dark side of the Fempiror race. Unfortunately, their laws prohibit him from seeing Beth again – a rule David is not interested in keeping. As David encounters advanced technologies of the Fempiror society, learns of their mission, and understands the very real danger he poses to humanity, he begins to second guess his desire to return to Beth. But when that opportunity arises, he disobeys and changes his life and the lives of everyone he loves. George Willson is from Broken Arrow, Oklahoma. He has written over sixty plays, musicals, shorts, screenplays and teleplays, of which four have been produced. He plays piano, drums, bass, guitar, trombone, saxophone, and clarinet (among several others). He regularly writes songs to perform in a small group he plays piano and sings with. He produced and directed a feature length screenplay which he also edited and wrote the music for. 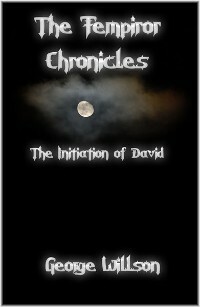 The Fempiror Chronicles: The Initiation of David is his first novel. You can follow Lloyd Kaufman on Twitter. The Secret Origin of Troma Studios! 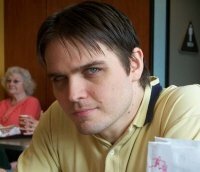 SimplyScripts Radio is produced by Michael Cornetto. On last week’s Babz Buzz, Babz issued a challenge to the writers, write a 3-4 page script where you must use the lyrics to Werewolves of London by Warren Zevon to tell the story. Over on the Unproduced Scripts page there are 19 original scripts up for your reading pleasure. Entries (RSS) and Comments (RSS) | 66 queries. 0.211 seconds.